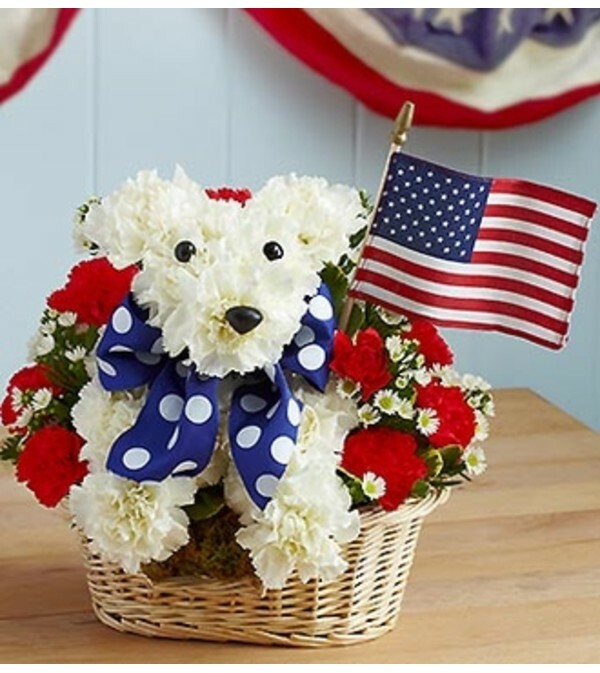 This patriotic pooch is ready to unleash smiles with all-American flair. 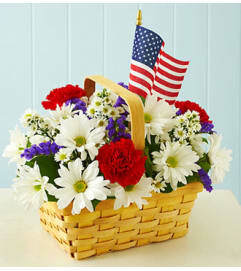 Our truly original a-DOG-able® arrangement is hand-designed in a willow dog bed basket using the freshest white and red carnations, accented with a blue and white ribbon and an American flag. 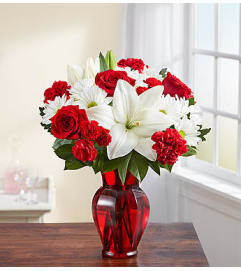 A fitting salute for dog lovers, pet parents or a fun surprise for anyone who shows pride in the U.S.A.
Hand-crafted a-DOG-able® arrangement of white carnations, red mini carnations, monte casino and variegated pittosporum. 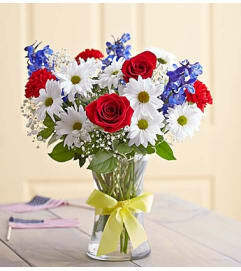 Arranged in the shape of an patriotic puppy, complete with eyes, nose and a festive blue and white polka dot ribbon.